Yes, seven months have gone by since last I wrote. At that time we were welcoming Spring, and now we are preparing for the winter holidays. Interested in events at the old hometown? Those which are upcoming (in chronological order): Small Business Saturday 11/29 featuring lots of special activities in the shops downtown; Thursday the Historical Association Christmas Dinner, featuring the history of Wentworth; Friday is the Festival of Lights – annual Parade featuring lighted entries, plus visits with Santa, the Snowball Drop, and the Mayor’s Christmas Tree Lighting; the annual Community Christmas Dinner provided by the Lexington Elks; the annual Christmas Bazaar; Christmas at the Anderson House, decorated for the period; the Candlelight Christmas Homes Tour that night; the Christmas Homes Tour on Sunday; a Christmas Concert presented by the Lexington Wind Symphony that evening. This does not include all the nearby events in the KC area….and the private events and club parties here. No one should be bored during the holidays! As for ongoing events, work is continuing on the Auditorium (The LEX). If you would like details on that progress – or would like to contribute to the project – go to http://www.lexingtonciviccenter.org. To subscribe to the newsletter, send me a note at skworth@cebridge.net and I’ll be glad to sign you up. Joan Hurlburt Rumble sent a wonderful photo of an auditorium dance in 1948. It will appear on the TLC webpage www.thelexingtonconnection.com soon. Also look for several Arnold School class photos contributed by Dollie Neece ’56 Walters. One of the most popular social events since our last issue was the Civil War Ball put on by the Lexington Historical Society, an event to benefit maintenance of the Museum. It was held in the Wentworth Hall of Honor. All came in costume of the period, and the theme included food and drink, games (Cake Walk, Jeff Davis Pie Contest), and dancing. It was such a hit that it sold out and another will be held next summer. The summer was full of Fairs and events of that nature – culminating in the popular Apples, Arts & Antiques Fair. Ladies Nights Out, put on by local merchants with sales, gifts, nibbles and libations are popular; and the last one included a day of classes, demonstrations and other programs. Some things never change, though. I am on a number of committees and boards, and occasionally I have to remind myself the purpose of the meeting, since I see the same people at each one. That’ s living in a small town, though – and I suspect it has been ever thus. Herbert D. Carpenter, 81, of Kansas City, MO passed away April 21, 2014. Herbert was born March 7, 1933 Bates City, MO. Herbert served in the United States Army. 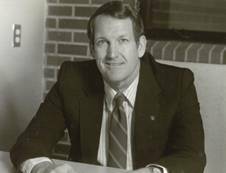 He worked for Ford Motor Company, was an avid golfer, and loved traveling. Herbert was preceded in death by his wife Eileen Claire (Mischon) Carpenter, parents, and a brother Charles Carpenter. Survivors include his sons Jeff and Greg Carpenter, 5 grandchildren, and 3 great-grandchildren. Memorial service 11:00am May 17, 2014 White Chapel Funeral Home Gladstone, MO. Virginia B. Little, 89, of Columbia, Mo; formerly of Lexington, MO. passed away on Thursday, April 24, 2014 at Lenoir Woods, Columbia, MO. Virginia Ball was born on April 4, 1925 in Hume, MO. to John Parks and Nancy Plattenburg Ball. She married Burtis McGie Little on May 7, 1949 at Lexington, MO. He preceded her in death on December 27, 1995. Virginia was a home maker and member of Christ Church Episcopal. She enjoyed travel, reading, playing bridge and was a bread-baker extraordinaire. Survivors include her daughter, Barbara Larkin, Columbia; a step-son John Hendricks; and her brother, Bob Ball, Columbia; and a niece, Jennifer Bryan, Ocala, FL. Memorial services will be held on Monday, May 5, 2014 at 11:00 am at Christ Church Episcopal, Lexington, Mo. The visitation will be held from 10:00 am until service time. Inurnment will be at Memorial Park Cemetery, Lexington. In lieu of flowers, the family requests that donations in her name be made to Christ Church Episcopal. Lucia Cope Hulston, 72 of Kansas City, MO passed away August 9th, 2014. Memorial Services will be held at 2:00 pm on Friday, August 15th, 2014 at John Knox Kirk Presbyterian Church, 11430 Wornall Rd., Kansas City, MO. Lucia was born October 1st 1941, in Kansas City, MO. Lucia was preceded in death by her parents, Joseph and Lucia Cope. She is survived by her husband, John L Hulston; son, Joseph Fred (JF) Hulston; step-children, Lorrie Corvin (Tom), John Patrick Hulston (Maida), Tina Watson (Tim); 3 grandchildren; and 2 sisters, Shelly and Marcia. Memorial contributions may be made to Missouri River Relief P.O. Box 463, Columbia, Missouri 65205. William R. Eastridge, III, 77, of Wellington, MO passed away Sunday, August 17, 2014 at New Haven Care Center in Odessa, MO. William was born July 16, 1937 in Carrollton, MO to William Robert Eastridge, II and Clara Irene Simms Eastridge. He married Carolyn J. Lairmore on May 6, 1967 at Wellington. Bill worked as a Boilermaker for Local Union #83. He was a member of Journey of Faith in Wellington. Bill was an Air Force Veteran. He was a Mason, Knights Templar, Shriner, a member of the American Legion, an Honorary Warrior of the Tribe of Mic-O-Say, and a member of the Spit & Whittle Club. Bill is survived by his wife, Carolyn, of the home. Children: Lynn Hansen, Michael Eastridge (Debbie), Jacque Liese (Michael), Cathy McGrath (Jeff) and Jon Eastridge (Anna). There are 10 grandchildren and 7 great-grandchildren. Sisters: Phyllis Iman and Sharron Sample and a brother, Richard Eastridge. He was preceded in death by his parents and a brother, Paul. Services will be 10 a.m., Thursday, August 21, 2014 at the Walker-Nadler-Fuller Funeral Home, Lexington, MO. Burial at the Missouri State Veterans Cemetery in Higginsville, MO. Visitation from 6 to 8 p.m., Wednesday, August 20 at the funeral home with Masonic services. Barbara Ann Flanigan, 82, of Lexington, MO passed away Monday, August 25, 2014. Barbara Ann Zeller was born November 13, 1931 in Paxico, KS, the daughter of John Nicholas Zeller and Sophia Hiegert Zeller. Barbara moved with her family at an early age to Lexington, attended Catholic Grade School and graduated from Lexington High School in 1949. She was united in marriage with William (Bill) Flanigan, June 12, 1949 at Immaculate Conception Catholic Church in Lexington. Two sons were born to the union, Michael E. and William N. Flanigan. Barbara and her husband moved to California in 1950, and subsequently lived in Illinois, Maryland, North Carolina, Louisiana and Georgia, along with several stints back to California at Norwalk, Anaheim, Long Beach, and Alameda as her husband was transferred by his company to the various sites. She was a dedicated mother, grandmother, great-grandmother and homemaker. Barbara was preceded in death by her son, Michael, her parents, brothers, Edward, George, Leo and PJ Zeller and sister, Bibiana Zeller Lowe. Barbara is survived by her husband, Bill, of the home, son, William N. & Glenda Flanigan, Warner Robins, GA, daughters-in-law, Nancy Gordon, of Post, TX and Diana Flanigan, Keizer, OR; grandchildren, Douglas Flanigan, Maggie Guthrie, and Abby Louder, Post, TX; Nicholas Flanigan, Clayton, NC, Cole and Katy Flanigan, Keizer, OR; William Flanigan, Columbus, OH; Michael Flanigan, Liberty, MO, Amanda, Andrew, and Patrick Flanigan, Warner Robins, GA. Nine great-grandchildren; Haddie, Datch, Koda, Brynne, Landry, Maci, Titus, Grady and Kayln. Services will be 10:00 A.M., Saturday, August 30, 2014 at Immaculate Conception Catholic Church, Lexington. Interment at Missouri State Veterans Cemetery at a later date. Visitation will be 6 to 8 p.m., Friday, August 29, 2014 at the Walker-Nadler-Fuller Funeral Home, Lexington, MO (660)259-2245. Memorials may be made to the Lafayette County Cancer Coalition or the Leukemia and Lymphoma Society. Helen Jo Barker Stephenson, 85, of Lexington, MO passed away Tuesday, September 02, 2014. Helen Jo Barker was born May 24, 1929 in rural Odessa, MO, the daughter of Elmer A. and Susie Wilson Barker. She married Meredith Stephenson on November 15, 1957 in Lexington. Jo was a homemaker and a member of the First Christian Church of Lexington. Mrs. Stephenson is survived by her husband, Meredith, of the home. Sons: Wendell Stephenson (Laurie) of Lexington, Billy Stephenson (Barb) of Columbia, MO, and Brad Stephenson (Michelle), of Prairie Village, KS. There are nine grandchildren: Austin Stephenson, Garrett Stephenson, Collin Stephenson, Carrie Stephenson, Morgan Stephenson, Erin Stephenson, Allie Stephenson, Tucker Stephenson, and Colby Willard. One great-granddaughter, Madelyn Marie Stephenson. A brother-in-law and his wife, Don and Elaine Stephenson, of Gilbert, AZ. Several nieces and nephews. Preceding her in death were her parents, brothers: Allen and Donald Barker . sisters: Martha Gammon, Opal Ramsey, Venita Beachboard, Pauline Gossett, Jewell Ellis, and Betty Thieman. Services will be 11:00 A.M., Friday, September 5, 2014 at the Ralph O. Jones Funeral Home, Odessa, MO. Burial in Greenton Cemetery, Odessa. Visitation will be from 10:00 a.m. until service time on Friday at the funeral home. Memorials may be made in Jo's memory to: Preferred Hospice, 206 S. 12th St., Lexington, MO 64067. Lee M. Dresser, 72, lost his long battle with cancer on April 24th, 2014. He was born on May 22, 1941, in Washington, D.C, where following his parents’ death in a car accident, moved to Moberly, MO to be raised by his maternal grandparents. He started the Krazy Kats band as a sophomore in high school with their very first performance being played at the cafeteria of the Moberly Junior High School on February 14th, 1957. The fans would scream and holler while they were performing, and continued to do so throughout his career. Inducted into the Rockabilly Hall of Fame in 1999, the Krazy Kats performed their covers of classic tunes from the 1950s and ‘60s at an estimated more than three thousand shows. Teaching himself to play guitar at the age of fourteen, Lee didn't begin performing seriously until the mid-1960s, Dresser found employment as a guitarist and harmonica player for Danny Thomas, Dolly Parton, Merle Haggard and the Oak Ridge Boys. Signing with Capitol, he recorded several singles in the early-1970s and represented the United States in the World Popular Song Festival in Tokyo in 1972. His vocals were heard on the soundtrack of 1975 film, The Adventures Of The Wilderness Family, and during the Country Bear Jamboree show at Disney World. His songs were covered by Pat Boone, Bobby Sherman, the Osmonds, Trini Lopez and Ray Price. Despite his success in southern California, Dresser missed his former musical partners. When the Krazy Kats were revived in 1980, he began shuttling back and forth, by plane, between California and Missouri. As the band's schedule intensified, he moved back to Missouri in 1985. As for Lee Dresser, Don Armbruster remembers: We in Lexington were most fortunate. I got hooked up with the Kats day 1 - back in ’57 or so. So many memories! You probably know how they got their start and what their initial run in Lexington did for them back in 57. It was something to behold for about 5 years. Then it was off to Columbia Missouri. Lucky I was to follow them to College Town U.S.A. ‘57-‘63, every single Saturday night. Hundreds and hundreds of teenagers from 5 counties. They stamped our hands when we paid our 75 cent admission so we could go in and out of the dance. You DID NOT wash your hand all the next week for proof: You were at the Kats last Saturday night. Right out of American Graffiti and Norman Rockwell, those Saturday nights in Lexington were. Then their reunion in Lexington Oct 1980 (have the live recorded album from that night). Lee told me that was their biggest night ever in Lexington - 350 paid admissions. Lee was so pleased with that turn-out, as he should have been. It spoke volumes of their appeal. 15 years and that kind of turn out in an outpost the likes of Lexington Missouri! Yep, they were good. That night and the next night in Moberly set the stage for their 1980 to 2014 run. The Kats - so many many, many memories. Thank you Lee & the Kats. Lee Dresser was an incredible human being. Throw in a Col. Tom Parker and who knows where he would have gone. Kind of glad it didn’t happen. Kept him local more than it may have turned out. I’m sure there are many others to mourn in this period, but these are the only notices I have received. Sharon Shurmantine wrote about Larry Bland: Thank you for letting me know about Larry Bland although I knew him only as a legend, not as a person. I would love to hear from the people who really knew him. Sharon, I knew him almost all of my life. He was a great athlete and a good student and a really nice person. And handsome. I’m certain others will agree in writing. Few things sparked interest like the Todhunter sisters. Last issue, #143, contained their obituaries. It’s hard to believe that persons who have been dead for over 20 years could cause a sensation in town today. But here is the scoop: neither of the Todhunter sisters ever wanted her age revealed. When some relative wrote the obituaries, which were forwarded to TLC by Jim O’Malley, the big secrets were revealed. Kenny Nadler called me, and said he was sworn to secrecy by the sisters. He was NOT the culprit that let the cat out of the bag. It’s surprising that people who lived in Lexington nearly their entire lives could keep their (at least approximate) ages secret! Norma Maring, who lives across the street from me (and therefore about a block from the Todhunter sisters’ home) wrote: I have enjoyed this letter so much. If you will recall the Toddhunter sisters did not have a garage at their home. They rented the little garage at the alley across the street facing ours that sat on Kathy VanAmburg's grandmother's property. It seemed that most everyday they would walk down, always dressed up, and take their car out for a drive. Our conversations with each other were memories to be cherished. They were first class in every way! Thank you for bringing their memories back to so many readers. You are appreciated! 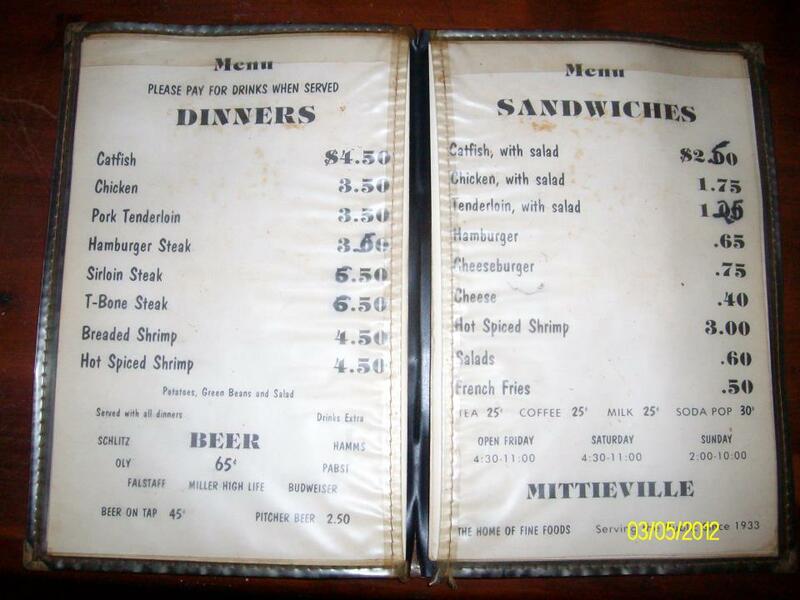 From Shirley Briggle Miller: (I wrote) As for preserving the (so far) 144 TLCs, my thought at this time is to print copies and put into a binder to be kept at the Historical Museum and/or the local library. If you have a better idea, I’d welcome it! And Shirley responded: Ummm, yes, I have the same idea I had a couple of issues of TLC ago: WRITE A BOOK! Or volumes. We'll figure out a way to publish it and you can keep the proceeds for your years of work. Other than that, I was surprised to see, compliments of Jim O'Malley, birth dates for the Todhunter sisters! If you will visit the Todhunter family plot in the cemetery in Lexington, you will notice there are no birth or death dates for either Miss Emory or Miss Katherine. I never knew anyone who could hide age the way they did, or who were more afraid of it. And another note, the Todhunters lived in that white antebellum mansion at the east end of South Street (can't recall the name, or "title" of it) when the girls were children. (Ed. Note: Greystone) When our class of '53 had a reunion breakfast there several years ago, I saw where Miss Katherine had left her imprint for posterity in a front window glass, perhaps made with her mother's diamond ring. I think it says 'Kathy,' but it may be 'Kate.' As I said...that was several years ago. Next time you go there, let me know. First floor, I think in the north front room. I don’t normally publish addresses, but this one came from Angel Kelly-Shelby: Does anyone have info on Lexington HS football team of 1947/undefeated state champions reunion? Frank Shelby, class of and football team 1947, has moved to The Villages in FL: Address: 627 Quinby Way The Villages 32162 At 85 Lt Col Frank F. Shelby, US ARMY, ret is enjoying The Villages with wife (Dr. Angel M. Kelly-Shelby, FNP-C), where they are actively involved in MOAA, the American Legion, the Honor Flight and The Villages many neighborhood and Community activities. Looking forward to hearing more about the 1947 class and football reunion. Jim/James Shelby is Frank's brother, who graduated in 1941: Frank and Meredith were classmates and teammates along with Bobby Gadt and many more, who's names I will need from Frank........I think it would make a great story since many from that class joined the service, had their own businesses and family connections. For example: Jim's second wife Judy’s granddaughter married Meredith's grandson...............Judy knows everything about Higginsville and Lexington; Jim is the family historian of the Shelby family since coming from Wales-------they have Governors, Generals......you could have a ball. I had a visit from Norma Homfeld ’50 Barney before her LHS Class Reunion, their 64th, and she brought some memorabilia from the 1940s for our Museum. The major item was a quilt she had made with every 1950 graduate’s name on it, plus a large quantity old Minuteman newspapers. Such fun to see, and I knew many of the people (although, ahem, I am MUCH younger) she mentioned and in the photos that she also brought. The Museum has just been “freshened” and rearranged. We have a very full archives area, and new treasures are being collected and displayed. If you haven’t been there for a while, make time when you are in town. Wayne Tabb is curious: I was looking through pictures on "I remember when" in Facebook. Several of you made comments about an old house on April 23-24 posted by Bill Sellers. Maybe eighth or ninth on the page. You said, "not the log cabin that was covered up" Marcia Cope said something about Highland. The house was on Highland just at the top of the steps of the Memorial on old 24. The reason I know this is because I have a pocket watch that Ms Gibbons gave me for "returning" items that some of us kids took from the old place. It was in terrible shape and we could pass right through the walls. I took a rifle, and electric clock and this watch. Ms Gibbons caught us in there one day and found out we'd taken some stuff. Of course my mom heard about it and marched me to where Ms Gibbons lived at the time across from Wentworth. After a long dressing down, she handed me the watch for bringing the stuff back. I had the watch repaired about ten years ago in Austin. When the guy finished with it he offered me any watch in his jewelry store for that watch he'd just repaired. In that case were Rolex watches up to 19k. Remembering the story made me turn down his offer and I still have the watch. If you are doing research on the house, won't do any good because it isn't there anymore. The last time I was ever in it was years later when the floors had actually caved in. I remember crawling around the dark and damp perimeter of the basement before they dozed it down. I was living at 608 Highland when I was in it the last time before I moved to Texas in '76. There were a lot of old magazines scattered about from the early 1900's. I recall one in particular that I brought out of the basement. I think it was LIFE or perhaps Saturday Event Post. Anyway, there was a British dignitary on the cover. He looked to be about 18 and reminded me of the painting, "Blue Boy" because of the way he was dressed. The caption was, "What is this young man's future". It was a picture of Winston Churchill. Someone must have run across this at my dad's house years later because it disappeared. I don't know how to post on facebook so figured you could do what you liked with this. For those of you on Facebook, Bill Sellers has posted some wonderful, wonderful old photos of Lexington. Look at “I Remember When.” Bill has the premiere collection in town. The following could have been part of it, but I have lost track of who gave it to me. Know you will enjoy! 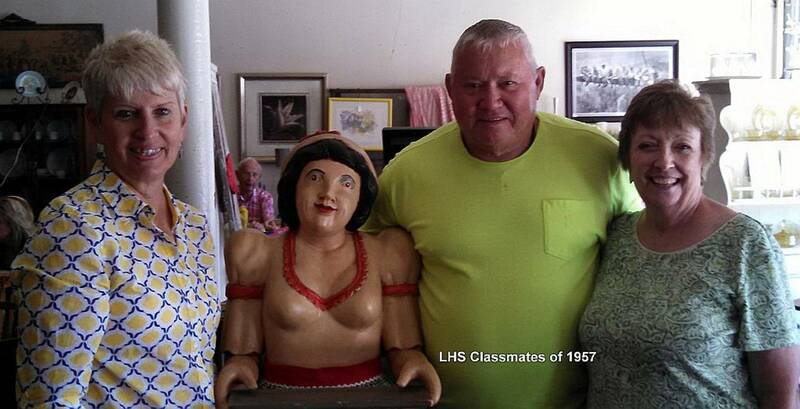 Mini-Reunion: Thought some of you might get a kick out of seeing these LHS 1957 classmates. From left: Barbara Lee Fay, Unknown, Don McGowan, Susan Shea Worthington. Don Stephenson sent a note: I had the pleasure of spending a week in the old home town in late May visiting my brother Meredith, his wife Jo, (who since passed away) and other members of the Stephenson or related families. Lexington hasn't changed too much since my last visit but notable changes for me were the new bridge and the disappearance of the high school building I attended and graduated from in 1943. I am knowledgeable about a lot of Lexington history, but one item I am not knowledgeable about is who the person was that the Tevis Bridge on Highway 13 is named for. I am curious about this because I have friends in Arizona named Tevis that may have a family connection in Missouri. If you don't know the answer to this question, maybe you can pose it in your next TLC. I am looking forward to your next TLC. I am still on your send list, am I not? You certainly are, Don. But I don’t know the answer. I hope we hear back from someone about the bridge. I believe the house, now owned by Bob Estill, was also built by the Tevis family. Some very nice words from Kristen Shepard: I hope I am indeed corresponding to the correct individual responsible for the TLC Newsletter. I came across it by accident while searching for some photos I could use for an upcoming reunion. I must say, I was immediately engaged. I think what you are doing is great and I hope you will continue this legacy for awhile. I could only hope that more people will take an interest and send photos and stories of days gone by. I mean, we live in a technological age, but it is hard to find much over five years old and that is a shame. I believe that you have taken the first steps and I hope others follow your lead. With avenues such as your newsletter, the past can never truly be forgotten. So I thank you once again for the history you are preserving. When I inquired, Kristen wrote back: I grew up in Lexington, my mother grew up in Lexington, and her mother grew up in Lexington. I still have family and friends who live there as well. For the record, my maiden name is Shepard, my mother's is Phillips, and my grandmother's was Smith. All three generations grew up in Lexington. Lexington is where the heart is for sure. Another with happy memories of Lexington is Don Barrot: Hope you are doing well, and hope Lexington is doing well also!!! This summer I had the opportunity to read both Ike Skelton's book and also Roger Slusher's. Excellent reading for both. In fact they will be Christmas presents for someone else this year. I was hoping to get down home this year but was unable to. TG for the Lexington News....I have been able to keep up with all the news and people down home. Hope to see Lexington......down home......next year. Carroll Bertram from Odessa wrote: I am impressed with TLC. You are providing a beautiful service to your community. I am grateful that I discovered TLC about 5 minutes ago Wishing you all the best. How nice to hear! Thank you. Everyone please send your tidbits of Lexington history and other personal memories. I hope you all had a wonderful Thanksgiving – and have much to be thankful for.